Powergrip alloy bar ends fit steel or aluminum bars. Always a must have for trail riding ! Great look and awesome protection , saves hands and handlebar controls, also adds a great look to the bike as well. The price tag on these puppies is daunting, but I'm really glad I made the investment. I think the expanding bar end inserts in this kit are far superior to the EE ramped inserts I used a couple years ago. The multiple holes on the inboard mounts give you a lot of flexibility to make the guards line up exactly the way you want without binding, a problem I encountered with cheaper guards. I'd buy these again in a heartbeat. Pain in the neck hardware, but awesome hand guards. Like others, I have had trouble with the hardware on mine. No allen wrench seems to fit the heads of any of the bolts. Other than that they are everything I could ask for. Very durable they are by far my favorite bark busters. I love the bend and the fitment. They do not interfere with any cables. Hands down the best handguards I've ever owned. They protect as they should and mount rock solid. I've charged through many trees and they never move. 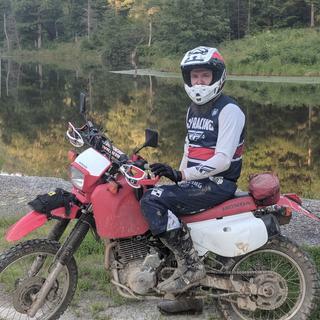 I purchased these hand guards for my sons crf150r, the installation will not work on this bike due to the way cycra has developed their brackets. I like the guards but very poor bracket combinations in my opinion. I sent back and went and bought another brand and they fit like a glove! These are awesome handguards. Very sturdy. Only complaint is the mounting on the throttle side runs into the brake line. I was able to bend it a bit to make it work. I have two pairs of these. They are certainly strong and of good quality. However, I've had to modify both pairs to get them to fit each bike. The first one I had to mod the clam that goes around the bar as it didn't fit the bar well.. did that with a dremel tool. The second pair I had to hog out slot where the bar meets the clamp on the handle bar (near the clamps - not the end of the bar) to get the setup to line up right. I really like the product and style.. but a little more fitment work from them would help round out the product. I put these on all of my HS bikes. After 2 years of racing/crashing, I have never once had a problem! Will these work on a 2013 CRF450r with stock levers without cutting the balls on the levers or cutting anything? BEST ANSWER: Yes, I have installed these on three bikes of mine. 2017 WR450, 2013 TW200, and 2013 KTM500XC-W. They have clearance for the whole lever and by far the best protection. You won’t regret these Cycras! They fit on my 17 kx250f no problem. Do these fit on the Cycra Ultra Probend? Will the 'Cycra Ultra Probend CRM Complete Racer Pack 7/8" Bars' fit on a 2018 CRF450RX? 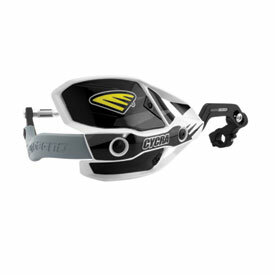 Will the CRM Ultra Handguards work with Flexx bars? Or are the non-Ultra CRM made for Flexx bars the only option from Cycra? BEST ANSWER: I'm not exactly sure what "Flexx" bars are, but I installed these hand guards on my Pro Taper CR High bars & they fit just fine. They are pretty adjustable.